Opponents, supporters pack committee hearing for state’s latest anti-abortion bill. House Representatives drew a figurative line across the middle of the room Thursday. 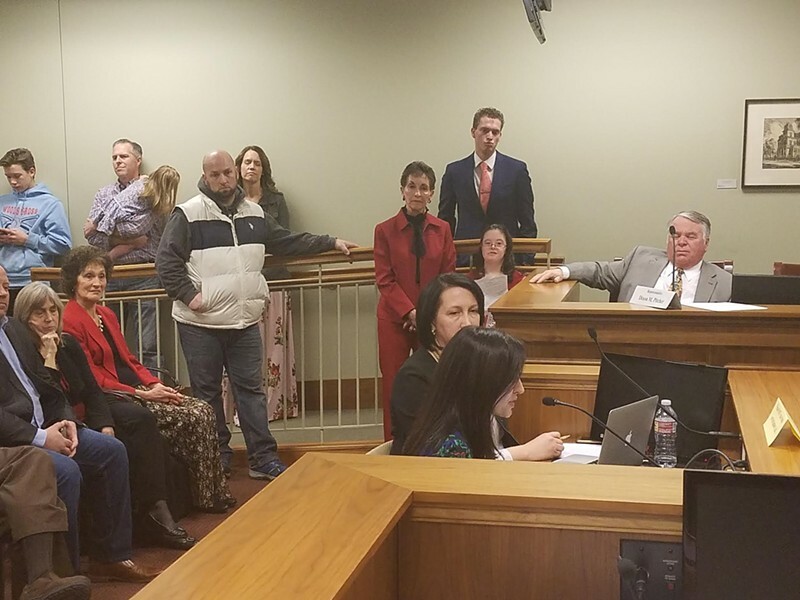 The House Judiciary Committee spent nearly three hours discussing Rep. Karianne Lisonbee’s House Bill 205 that would prevent a woman from terminating her pregnancy if the only reason is the baby would be born with Down syndrome. The committee ultimately voted 8-3 to approve the bill, sending it to the House floor. Legislative general council also has indicated HB205 could be “extremely legally problematic and very likely unconstitutional,” according to a statement issued by the House Democrats Thursday night. Committee members heard heated testimony from both sides—split on each side of the room—including a cheer, one woman with Down syndrome singing and others crying. Nearly 60 people packed the hearing room, with more in an overflow space, to hear the discussion. When it came time for public comments, more than two dozen people raised their hands to speak for or against the bill. Rose Carter, mother of a child with Down syndrome, said she was told she had a 98 percent chance she would not have a child born with it. “To abort a child just because they have Down syndrome is discrimination,” Carter told the committee. Nearly a dozen other parents with children with Down syndrome spoke in support of the bill. Lisonbee, R-Syracuse, first presented the legislation during a news conference Monday, citing similar discrimination reasons for the bill. During Thursday’s hearing, she explained why she drafted it. But many, such as various OBGYNs and representatives with the American Civil Liberties Union, spoke against criminalizing the abortions. “I wholeheartedly believe that this bill, which criminalizes abortions performed [because of Down syndrome] places each of these physicians in jeopardy by curtailing opened-arm discussions between a woman and her doctor,” Michelle Debbink, a local OBGYN, said. 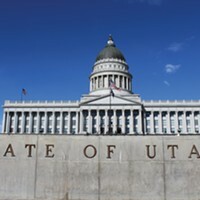 The proposed bill would require physicians to provide certain information to a woman when a prenatal screening indicates the unborn child might have Down syndrome. Some who spoke, asked if the Legislature dictated what a doctor is required to tell a patient regarding abortions, what would stop them from doing the same for other conditions? Sarah Johnson, a self-proclaimed disability advocate, said she was worried about how the bill would label her if she were seeking an abortion. One of the “no” votes, House Minority Leader Brian King, issued a statement following the hearing. 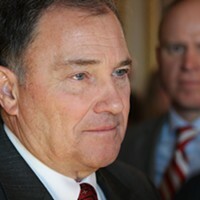 “I am disheartened by the degree to which so many of our legislative colleagues seem to believe that government should be free to intrude on the most personal and private medical decisions women can make,” King said in the statement. “It is inappropriate for the government to impose on women the moral and ideological values of a group of legislators who think they know better than the people directly involved. “This bill is inconsistent with a legislative agenda that values personal choice and freedom for individuals in the state,” he declared.